Thoughts from a Traveling Tech: Perhaps a blank line would have been useful? 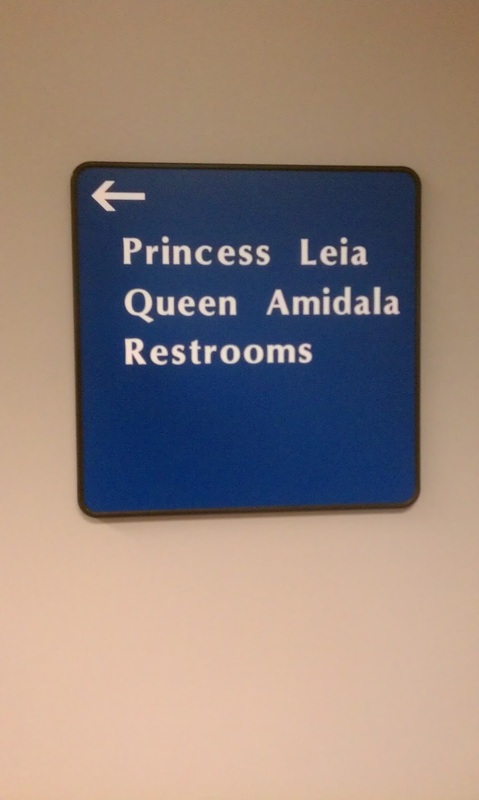 Walking to the restroom at a client site I came across this sign. 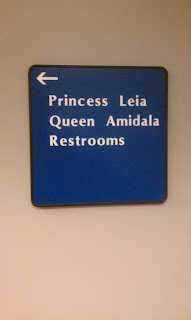 It is supposed to tell me that the two meeting rooms (named after characters in the Star Wars series) and the restrooms are to my left, but it also seems to tell me that the restrooms are named after the characters. I just need to know, which one is for the ladies?